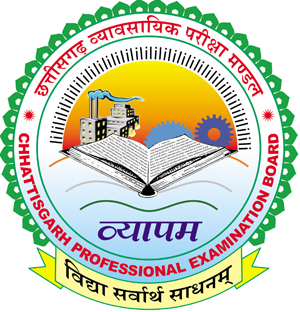 Chhattisgarh Professional Examination Board (CGVYAPAM) is inviting online applications from eligible applicants for filling up one thousand one hundred thirty-one (1131) vacancies for the post of Lecturer/ Nagriya Nikaya (Urban Body). You can see other details regarding CG VYAPAM Lecturer Recruitment you must read complete page carefully. Aspirants should not miss this golden chance. The applicants should read full details and fill online application form through official website of UAD CG that is uad.cg.gov.in. Applicants who are eligible to join Chhattisgarh Professional Examination Board they must apply for CG VYAPAM Lecturer Recruitment. You can bookmark this web page using Ctrl plus D to get up to date details about CG VYAPAM Lecturer Recruitment. Those candidates who are interested in CG VYAPAM Lecturer Recruitment, they must stay in touch with us. For more info about CG VYAPAM Lecturer Recruitment like as post name, disciplines name, education qualification, selection process, application fee, how to apply, pay band, age limit, important dates etc are given below. Educations Qualification ->> Applicants must have pass Degree of Graduate/ Master’s and B.Ed / DED in the any relevant discipline from Indian Government recognized University/ institution. Pay Band ->> Selected candidates will get Rs. 5300/- to Rs. 8300 / – per month. Selection Process ->> Selection of the candidates will be done on the basis of their performance in Written Exam, Interview and Merit List.